This is a 6" x 8" clear stamp set containing 18 stamps made in the USA from high-quality photopolymer. Love Dahlias. Have them in our garden here in Colorado Springs. Have not been able to use them yet, but I can hardly wait. A neighbor of ours will learn how to use them too. I love your turnabout stamps. 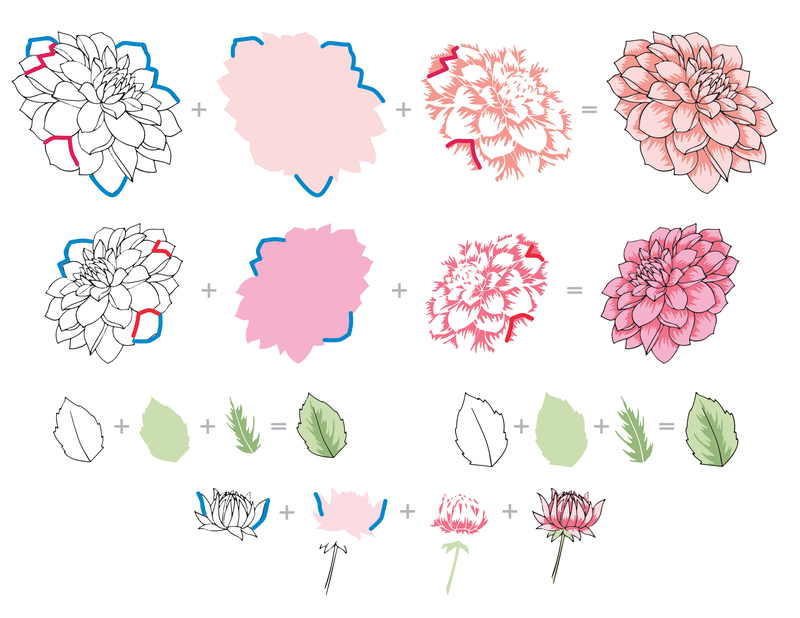 I have the dahlia set and they are so fun to work with, especially in creating color compositions.